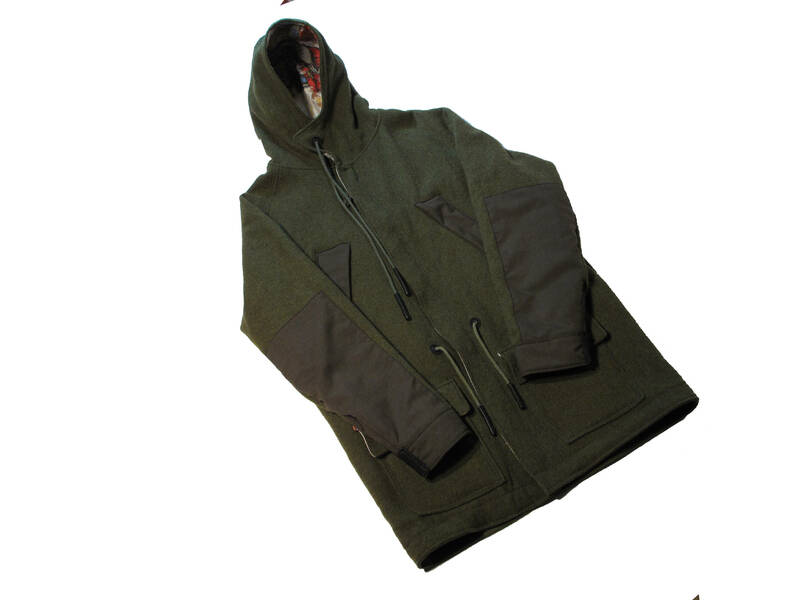 all wool army blanket dated 1987 used as the base material for this 60/40 style parka. large US print in the middle of the back. raglan sleeves. 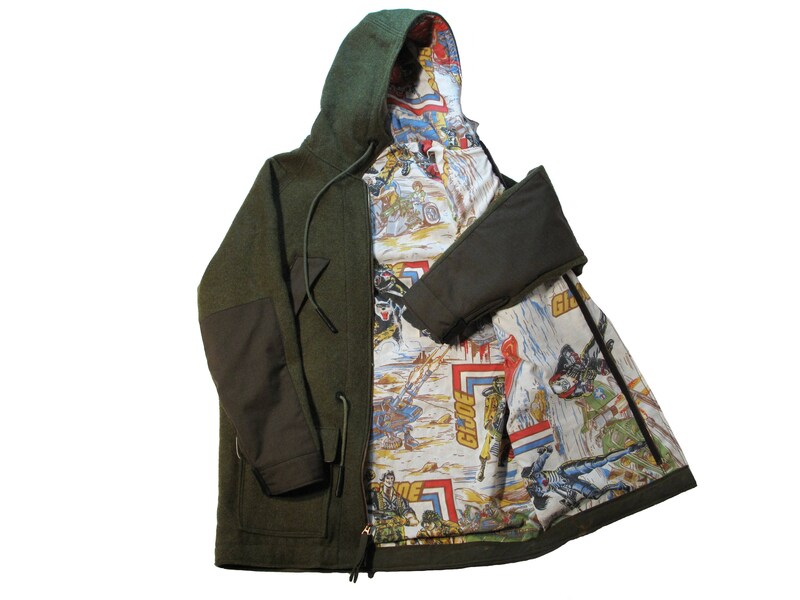 patch pockets at the front, hand warmer pockets on the chest. 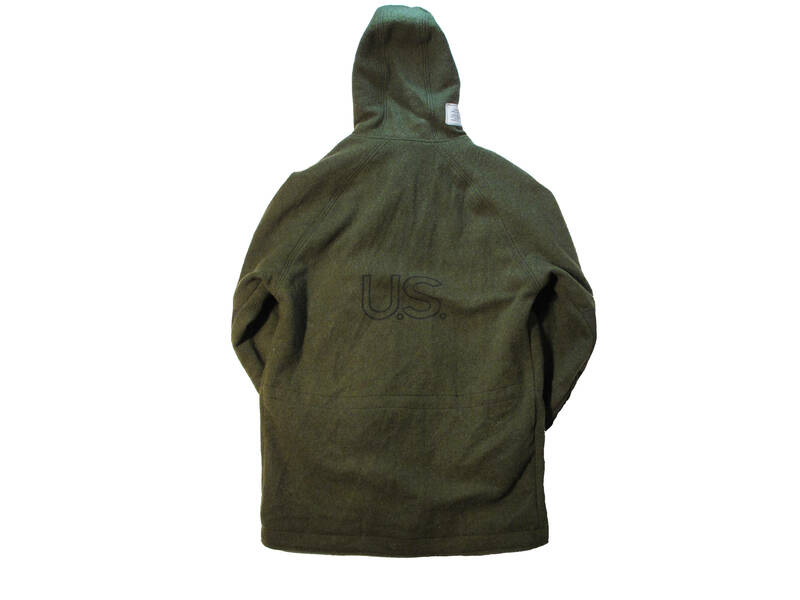 elbows reinforced with a military surplus wool blend. 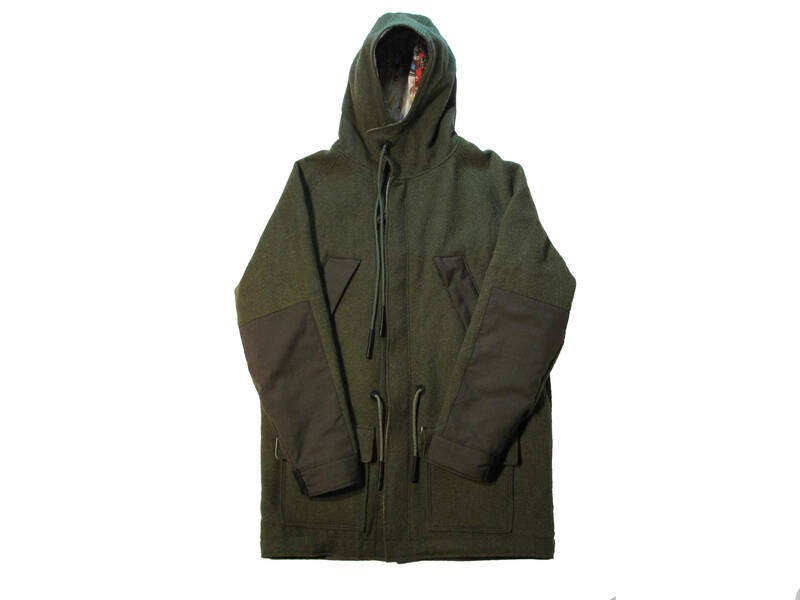 drawstring waist and hood. 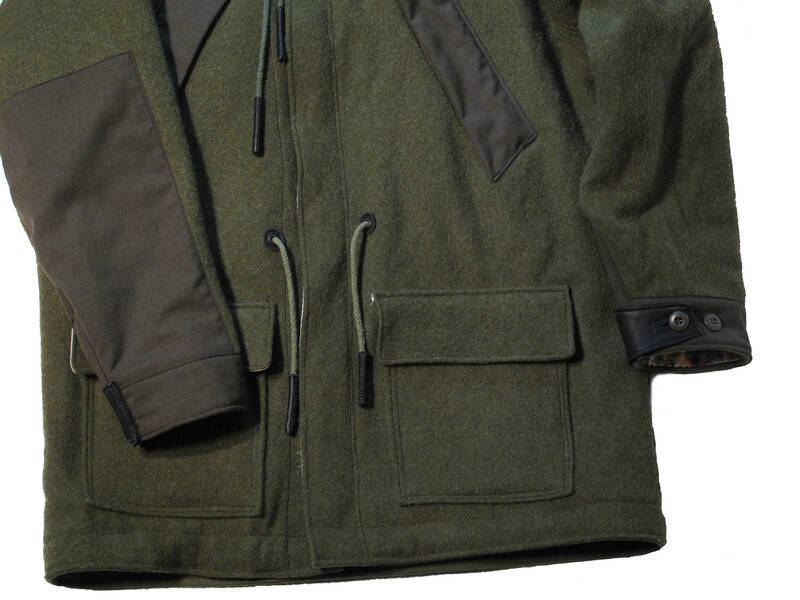 vintage military surplus Scovill Gripper zipper. lined with vintage GI JOE bed sheets. drawstring eyelets, drawstring ends and cuff adjusters made from black deer skin. fits like a mens size XL.